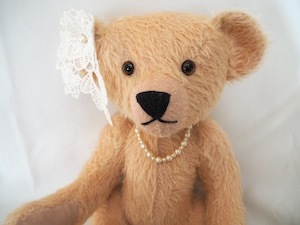 This is our beautiful Florence. 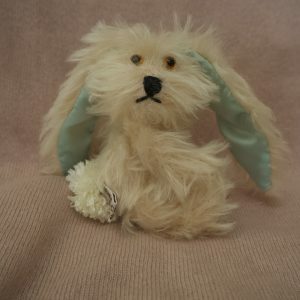 Florence is made from mohair and she stands 13 3/4” tall (35cm). 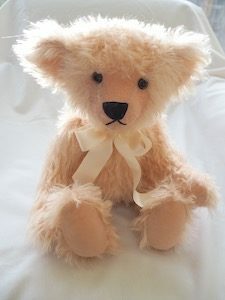 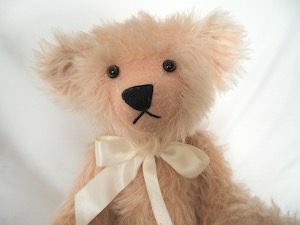 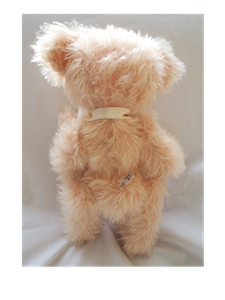 Florence is fully jointed with nut and bolt joints for her limbs and a cotter pin for her head and neck, she is made from 25mm soft Blush Pink Mohair, with flesh cashmere pads and paws and English Glass light smokey topaz eyes. 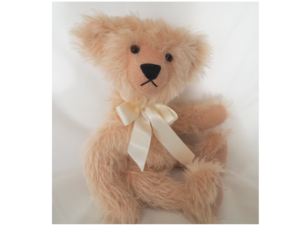 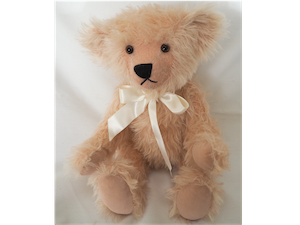 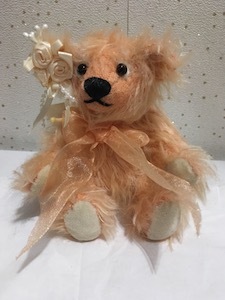 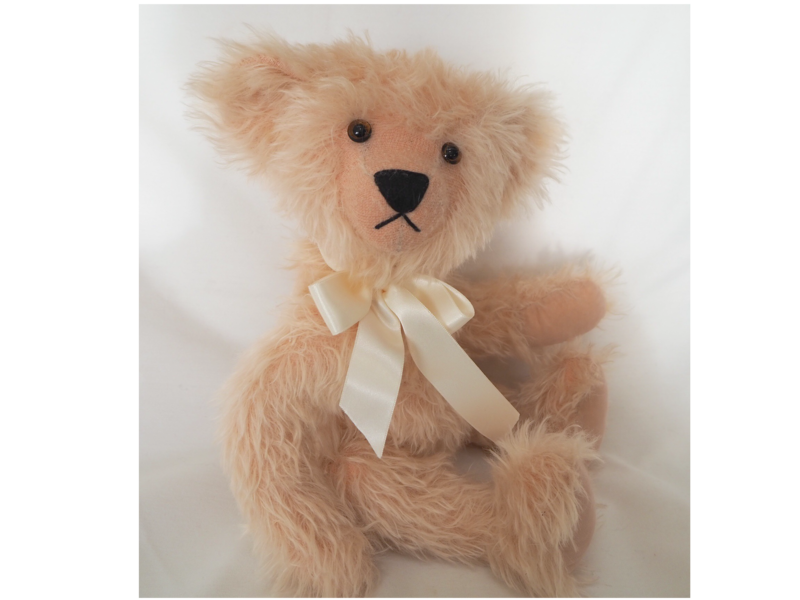 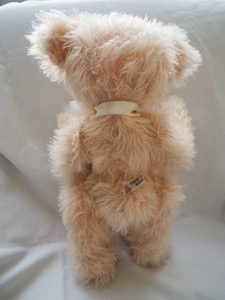 She has a cream ribbon around her neck and she is firmly stuffed to sit beautifully for you.